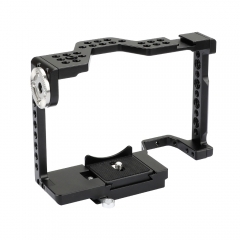 • This cage rig is specifically applied to ILCE-7M2 (a7II), ILCE-7SM2 (a7SII), ILCE-7RM2 (a7RII), ILCE-7M3 (a7III), ILCE-7RM3 (a7RIII), ILCE-9 (a9) series, (Please note that a7, a7R, a7S excluded). 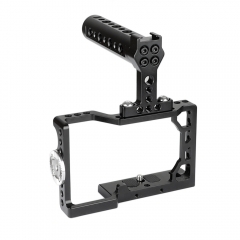 • The formfitting full cage frame features a slide-in ARCA-compatible quick release attachment for camera to easily fit in and out from the base plate, a built-in cold shoe mount at the top and an ARRI Rosette mount at side. 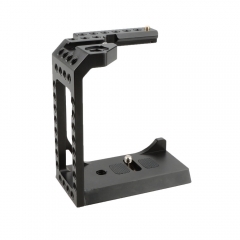 • A detachable top cheese handle with a built-in shoe mount delivers convenience with its comfortable grip and allows you to mount additional shoe accessories like microphone, flashlight and so on. 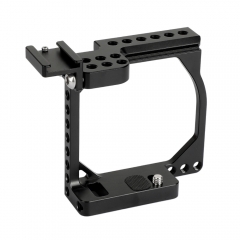 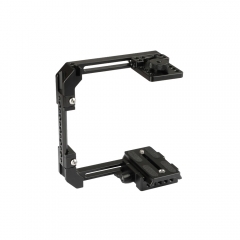 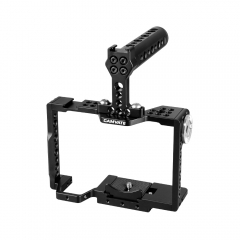 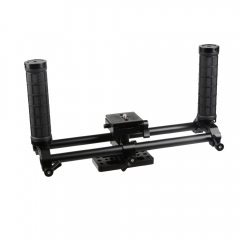 • This cage rig incorporates a 20cm long 15mm dual rod system attached underneath the base plate for rod-mounted accessories like matte box or follow focus system. 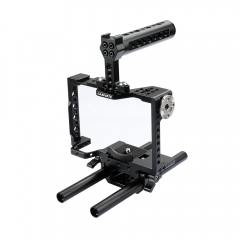 It will greatly facilitate your shooting and help to achieve your desired shots.